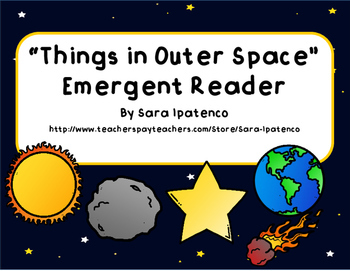 Emergent Easy Reader Book: "Things in Outer Space"
This is an emergent reader book that encourages children to recognize simple sight words such as “this,” “is,” “the” and “it.” It provides basic facts about things in space in an easy-to-read format. 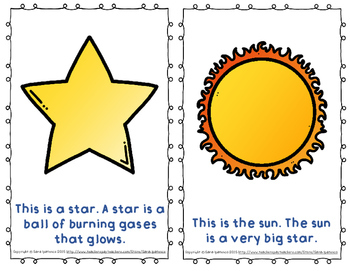 It’s great for practicing phonics, too! 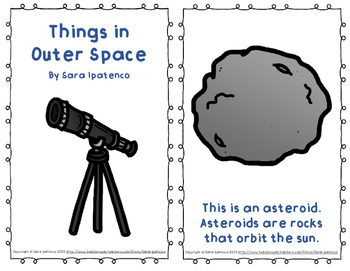 I’ve included a black and white version that students can color themselves and a color version that you can print, laminate and use as a classroom book! Enjoy!! 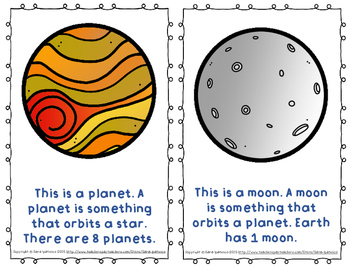 Emergent Easy Reader: "Our Solar System"
Emergent Easy Reader Book: "Phases of the Moon"